Here are some of the many questions we have been asked over the years; so we've compiled them so that you might be able to get more insights. If you don't find the answer you are looking for, please feel free to contact us by email, or Facebook, click the icons in the lower right hand corner of the website. An FAQ is an acronym for Frequently Asked Questions! You will be surprised how many people ask me what FAQ means! Do you provide Certificates of Authenticity (COA)? Yes we do provide COA for any item you purchase. Just contact us with your request and we'll sort things out for you. We buy and trade with wholesalers and collectors. By buying direct, we are able to sell our products at lower prices than our competitors. We also collect our own material in the UK when we can, and sometimes these items are offered on this website. Why can't you ship Chinese fossils to Australia? Due to current laws, it is illegal to import a fossil into Australia that is of Chinese origin. What are the delivery times of your products? Inland UK post is usually 1-3 working days. USA delivery is often around 7-10 days. For the Far East and Australia, please allow 10-14 working days to allow the parcel to get through the post system. Like most websites today, we accept our payments through PayPal and Stripe. Both are excellent, secure payment processing methods, and are convenient and fast ways of making a purchase. In the UK we are still able to accept personal cheques, and Cash on Delivery, although please use a secure method of posting, such as Royal Mail Special Delivery to avoid loss. If you wish to return an item or ask for an exchange, we are more than happy for you to do this. Simply email us to let us know and we will organise a refund or exchange upon receipt of the returned item. It is the responsibility of the buyer to pay return postage costs. Please obtain a proof of posting when you are returning the item. How can we contact you best? The best way to contact us is by email, or on Facebook. You are guaranteed a reply much quicker. You are more than welcome to email or message us to enquire about our stock, future offerings, advice and identification of your fossils. We don't charge for this service. We are committed to helping educate the general public about Palaeontology and fossil collecting. Grass roots level is the best to interact with people. especially children, as they learn fast and are our future generations that will take Science to the next discovery. Do you sell replica fossils? We don't sell replica fossils. We sometimes sell fossil casts, or scale models, but these will be clearly marked as made from resin or another material. Please don't feel afraid to ask us about our fossils, we will not be offended! In regards to fake fossils, I always say that common species are not those that are made into replicas or fakes. It is not profitable to make something that can be found easily and sold cheaply. It is the rare fossils that are faked the most. However, there is a place of anatomically correct fossil casts and moulds. These are valuable in education, allowing many to touch and hold a cast of an otherwise fragile and rare specimen. Casting can reproduce the fine details that many will want to study. There are outwardly obvious fakes in the this world however, and they are likely to be found on the roadside at tourist destinations. Again, they may have nice decorative value. So remember, it is the fossils that most collectors want that are at risk from fakery. For something that can be found in abundance there is little point. That does not mean that rare fossils are all fakes. It just means that like anything sought after, you need to be extra careful. We only buy and trade in real specimens, complete with their flaws and defects. Like most things in life, you can never have 100% perfect. Are all fossils repaired when they are dug out of the ground? Many fossils have to be repaired due to their extraction from rocks and rivers. Weathering, erosion and time in general can sometimes be unkind to fossils. Frozen ground can shatter a fossil if it is on the surface of the earth. It is the collectors determination and often more than anything, luck, that can save a fossil from destruction from machinery in a quarry, or the public trampling a beach. Some fossils are held together with mere friction and so they will sometimes need a little bit of glue to hold them together. Most fossils have some degree of repair. It is actually rare to find many fossils that have not had some little repair here and there. Loose fossils, such as shark teeth and shells often have no need for repair as they are tough cookies. Often it is the mineral content that determines if a fossil survives well in the environment, prior to collecting. Complete articulated dinosaur remains are rare. Often you will only find an isolated bone or tooth. But sometimes you can be lucky to find the entire skeleton! 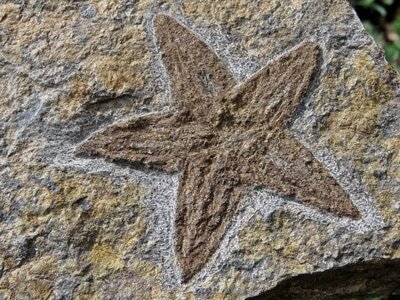 But in general, the rarest fossils are small and insignificant looking - and yet are the most important to science. 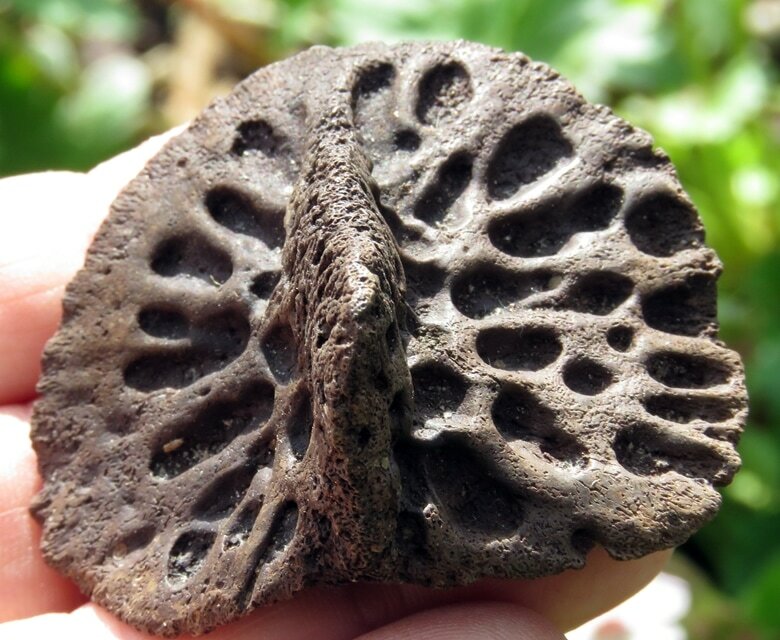 Some inaccessible locations produce very rare fossils. Some may be difficult to extract from their rock, others might be from very local strata not found elsewhere. In general, most fossils are common but there will always be the rare specimen that collectors are looking for. Why should I buy fossils? What appeal do they have? Everyone likes to have a hobby or collect something special. Coins, stamps, and books are some of those things. Fossils and Crystals are no different really. They give their owner a lot of pleasure. They also teach valuable lessons and that is why people like collecting them. Each one is different, diverse and fascinating. Some are otherworldly in appearance. They capture the imagination. Many artists buy fossils to draw, paint or sculpt their representations of ancient life. Much of the ancient world is speculation. We don't really know much about the colour of those creatures, whether they were bright purple or lime green? Or what colour feathers the dinosaurs had? It is a rewarding experience to let the imagination run wild. It also teaches children to care for and keep tidy, their specimens and learn to appreciate how life has evolved. What is the best fossil to start a collection with? Generally, most people start small and cheaply. 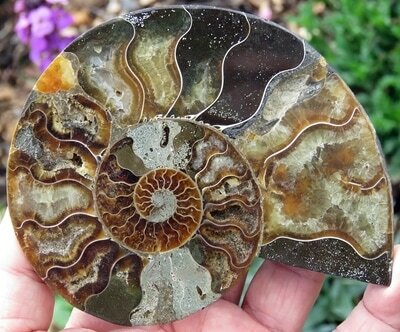 They often buy a trilobite, copal with insects, ammonites or shark teeth. Once the collector has more funds and desires bigger and better specimens, there is an endless world ahead of them. Can anyone find a fossil or do you need special equipment? Yes and Yes. Most fossils have been found by amateurs on public land, the beach and spoil heaps in disused quarries. You might need a special Geo hammer and chisel to get fossils out of very hard rocks, but most of the time you can find fossils just washed up on the sea shore in many areas of the world. Learning about the geological age of the location will help determine what you are likely to find. There are many good books out there. Using your eyes and looking carefully is perhaps the best way to find a fossil. You can also join a fossil club that will guide you and take you on trips to places that the public might not normally be allowed to visit. It is also safer to visit in a group and wear a hard hat and protective clothing and shoes to best enjoy fossil hunting. A meteorite is a solid piece of debris that originates from space. What are fossils all different colours? Different mineral compounds in the fossils give rise to different colours. Red colours are normally attributed to Iron compounds, such as Iron Oxide. Many fossils preserved in Chalk will have formed from Calcium Carbonate. Some other fossils are black, and are often Phosphatic. How do you repair fossils? Fossils are usually repaired using Cyanoacrylate based glues (Superglue). Other fossils may be repaired with PVA adhesive. 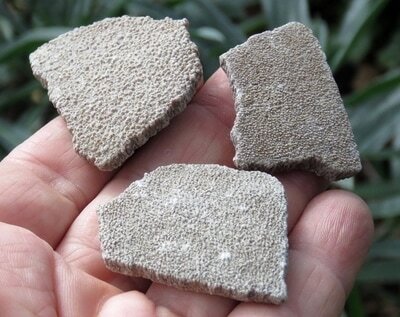 Heavy fossils might need epoxy resin or stonemasons glue (marble glue) to repair them. Small fossils normally only need a dab of superglue or contact adhesive and they are good as a new again! Most commercial specimens have had some repairs made to them. Often, they are dug out of the ground and some repairs are always necessary. Even some of the best known museum fossils are repaired! What is the best way to store and preserve fossils? Its best to keep fossils in a dry environment and out of direct sunlight. From time to time a little dry dusting with a paintbrush is all that is needed. Polished fossils need little looking after really, just a wipe with a dry cloth now and again. Why do your fossils have Latin names on the website? All living things (past and present) have scientific names, and these are almost always in Latin. Back in the early days when science was emerging and the classification of all living and non living entities of this world were being studied, it was agreed that Latin, the language of science and learning, would be used. This allowed fellow scientists from around the world to communicate with each other in Latin, if they did not understand each other in their own language. More importantly though, Latin is used to describe the family name, genus, species, visible characteristics and appearance. You will find that everything in science has a Latin name. Even humans do. We are called Homo sapiens - or Wise Human. You will notice that the Homo has an capital letter to start with, and the sapiens is lowercase. This is called Nomenclature. Shouldn't all fossils be in a museum? Many rare fossils are indeed in museums. But most of these are in dusty basements and cabinets. Those that have the most important scientific value are those that are in museums. Specimens of outstanding quality and display potential are those that are shown to the public. 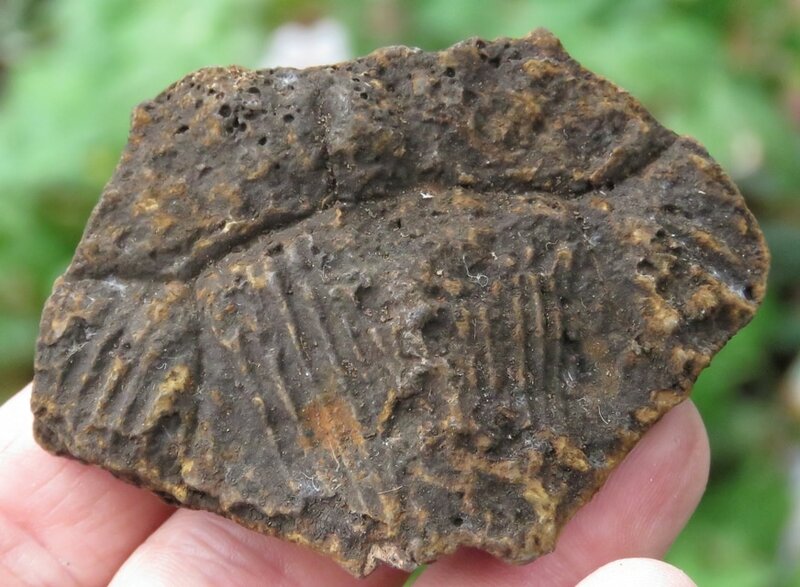 These are often casts of resin or plaster. Often the real specimen is kept away safely in the back rooms. This also allows multiple museums to display large and valuable fossils. Fossils found in their thousands are actually better in the public arena, schools, universities and colleges. People can learn from them then. Handling, studying and discussion in the classroom with a box full of commonly found fossils is often the starting point for interest in children that will one day go on to discover and describe the fossils that are rare. 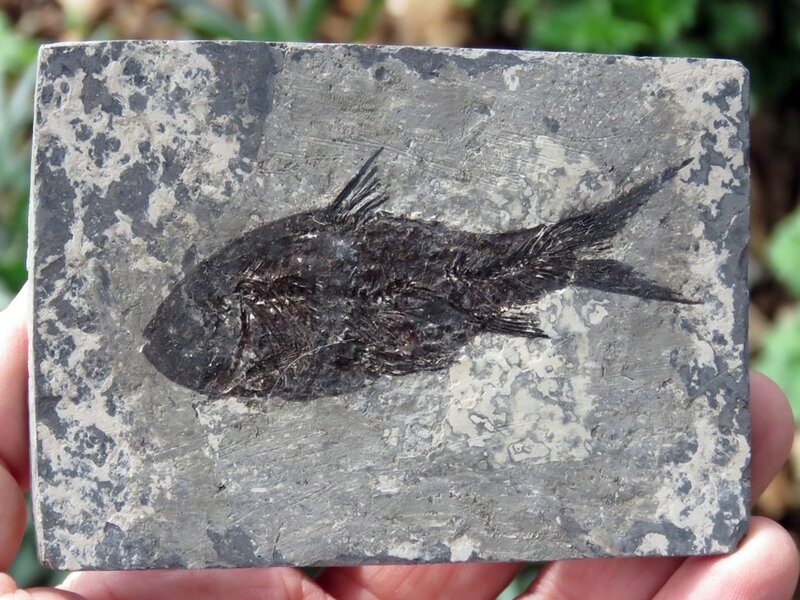 What can we learn from fossils? Quite simply, we learn out fragile the world we live on is. They show that there are species that exist for millions of years and then suddenly become extinct. We can learn about mass extinctions and the impacts they had on life on earth. Fossils are like time machines. They can transport us back to the time when the animal died and the fossilization process began. Not all animals and plants fossilized, it took very special circumstances in order for he process to be successful. Where are fossils found and why are they important? Every Continent has evidence of life, and the fossils have been found to prove this. Even areas of the world that are now no longer accessible show that they were once a tropical paradise. Fossils can date a sediment. Special fossils are called Zone fossils. These have been determined to only be found in specific strata. This allows precise dating. Fossils of the same species found in different continents today point to the fact that these continents were once joint together back in time. Some fossils that have been found in South America have been found to be identical species that lived at the same time as those in the Antarctic and Australia. No surprise really, as it confirms the geological evidence that these land masses were once part of a huge supercontinent before tectonic activity and Continental drift gradually moved them into current day positions. Where are you based as a company? Where are in South London, United Kingdom. When did you start selling fossils? We began trading in fossils around the year 2000. We started small with trading and swapping and selling on internet auctions. In around 2005 we started with our first website, and this will be out second incarnation of website. Fortunately technology has moved on greatly so that we were able to build our own site, keep prices low and reach a wider audience of customers. What is your favourite fossil? I love all fossils really, but my favourite would have to be mammal teeth. I love the look and feel of them. How do I look after meteorite specimens? Keeping meteorites in a dry place away from moisture will preserve them. Some are composed of metallic Iron and nickel and can get a coating of oxidation on the surface. We recommend putting a little bit of sewing machine oil on a cotton bud and wiping over the surface for these kinds of iron rich meteorites. Campo Meteorites benefit from this. Just remove the excess with another cotton bud or cloth and then put them meteorite away in a safe place away from dust. They will last a lifetime if you look after them. Other meteorites are stony in nature and these tend to just need a dry dusting from time to time. If you can get the little silica gel sachets you can use these to store with your specimens. They will absorb any moisture in the air around your space rocks. You often find them in packaging of electrical items, shoes, clothes, jewellery. You can also get them online easily. They are ideal for putting with your fossils in specimen cabinets and draws. Can we visit you - do you have a shop? We are currently Mail Order only. No we are not currently VAT registered. What countries do you post to? We post to most Countries. If you are unsure about your location just drop us an email and we'll let you know. In your business, what do you do to help the environment? We use as much recycled packaging material as we can. We also use LED energy saving lighting in our workshop. We enjoy recycling and do our best to ensure we do as much as we can. We also send as many emails as we can to be as paperless as possible. Email us or contact us on Facebook with the icons in the lower right hand corner!